Chronometer certified by the heritage Besançon Observatory, TAG Heuer’s new Carrera “Tête de Vipère” Chronograph Tourbillon Chronometer is named for the prestigious stamp of excellence that was among the earliest symbols of vaunted precision first used in 1897. The high-quality metrological guarantee was offered by Besançon Observatory, a public governing body operating under the purview of the International Bureau of Weights and Measures, unlike COSC, the mark of the “Tête de Vipère” certifies the watch as a whole, not just the movement. Unfortunately, the Besançon Observatory’s “Tête de Vipère” was abandoned in the 1970s, and for 36 years, it was forgotten, only to be relaunched in 2006, where the “Tête de Vipère” chronometer certification has since been awarded to just 500 pieces. 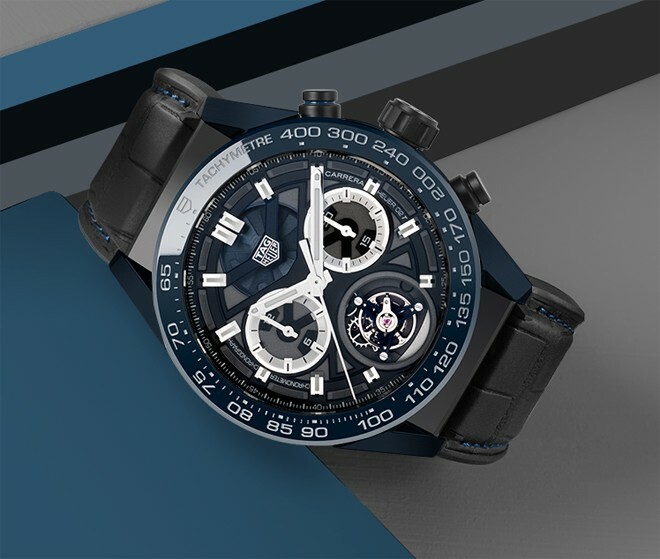 To obtain this certificate of excellence, watches like the new TAG Heuer Carrera “Tête de Vipère” Chronograph Tourbillon Chronometer are fully assembled and then undergo a protocol involving 16 days of robust testing, in five different positions at three different temperatures.